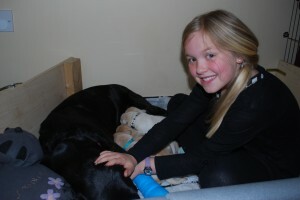 Katherine with Stanley, typing her column! The puppies have arrived! It is so exciting. I saw two of them being born. 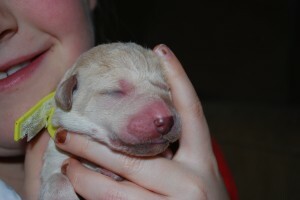 When the pups come they are in a sac which also contains the placenta. Molly eats the placenta which is a bit yuk I think, but mum tells me it gives molly extra energy and helps with the labour. 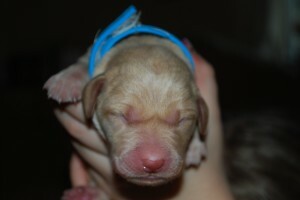 I am at my dads now and am missing my puppies but luckily mum is posting lots of video clips for me to see. 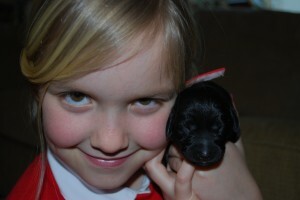 YAY gorgeous little pups - well done Molly! 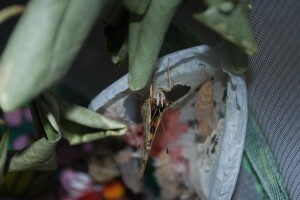 Two of the butterflies have hatched! yay – waiting for the other two to arrive. 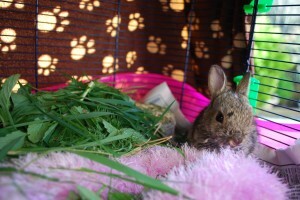 I have been looking after an injured wild rabbit. I found him on the 17th March. My Mum has been giving him formula milk with cream added to it. She kept telling me the rabbit could die at any time as they are so fragile. we gave him one of mums wooly hats to sleep in so he would feel safe and kept him in a cage. when he was big enough we fed him timothy grass, blackberry leaves, mint, fennel, clover and dandelion leaves. luckily he made it and we set him free yesterday. it was sad to see him go but nice that he can hopefully find his family now. Good luck Dasher! Happy New Year! I had a lovely christmas and enjoyed being back home with my dogs too. They love christmas and they all have their own christmas stockings with their names on. I have been taking Charlie around the block whilst I am on my roller skates. Mum says I can take him on my own because he such a good boy. 33 days until Santa Paws comes to give us all presents!!!! yippee! 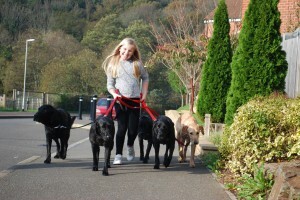 Hey look at me – I am walking my five dogs on the lead. 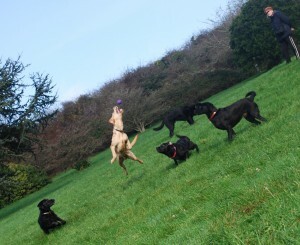 We have had lots of fun taking photos of the dog leaping around! Melvin FLIES! hey , were having chickens. i mean like, i dont know how to care for chickens plus if i cant feed our neighbors chickens then how am i going to feed these???????????????????????????????????????????????? yahoo!!! all the kids at our school are on school holidays!! 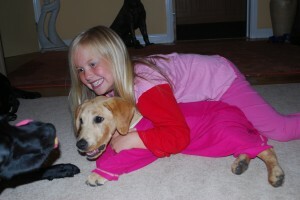 Fun at bedtime with Melvin.it was really funny seeing melvin like that, running around in my nightie!!! Melvin loved being dressed up - all ready for bed! Im really sad that Alex left nearly the whole class cried. Shes moving up to Scotland for two years but then I dont know whats happing I bought her a photo frame with a picture of me and Alex. 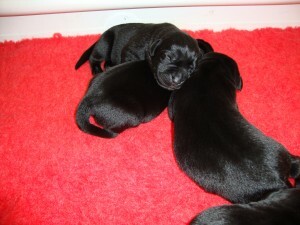 our puppies are doing fine.hopefully mum will put some pictures up of them being funny. they are going to there new homes now and im missing them already rocky,bunty and sam have gone and today summer,tess ,then tomorrow marley. 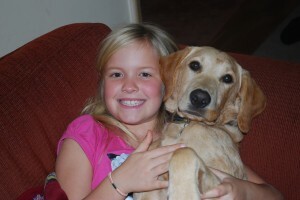 We are keeping Amber for another week. It is great having the puppies, they follow me everywhere playing follow the leader! The weather is so nice. I keep the pups cool by spraying them with water. 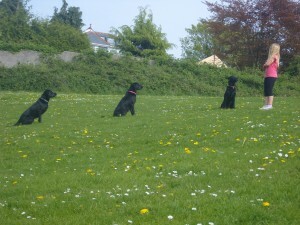 Yesterday when we were on our walk mum and me practised calling all the names molly, archie, charlie, stanley, melvin!!!!! i also did some dog training. 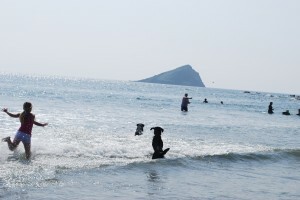 today we went to the beach i took my body-board it was great :)!!! 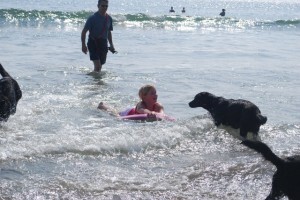 me talking to molly while I was on my body board!! In case you thought I had forgotten but I also had time to cuddle all the puppies and play with them. Our pups have grown a lot. my mum has put lots of photos on the computer. Our pups are now five weeks old! Very playful little monkeys. I enjoy sitting in the pen with them, giving the pups lots of cuddles. It is my job to help mum wash their paws when they come into the garden. I also helped with giving them wormers. It is also very important that I check the collars so they fit. I really enjoy running around playing with them in the living room. They are funny. 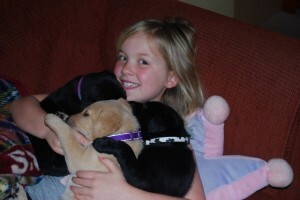 sorry i havent been putting updates its just that ive been playing with the puppies thats all. 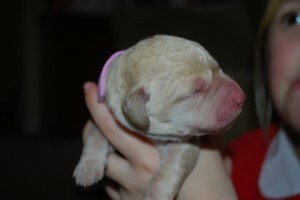 the best thing i like about the puppies is how cute they are and playful. i like feeling them crawling over my feet and the noises they make. 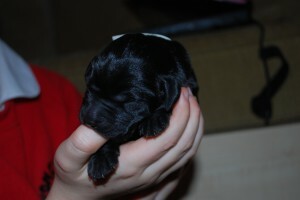 mollys just got in to labour we’ve got 5 puppies now but i think we are having more! Today i felt puppies in molly’s tummy you could see them pushing really hard, it looked like they were playing tag 🙂 !!!!!!!! ooooh! 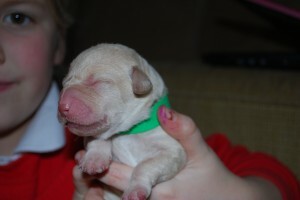 not long until the puppies come im getting very excited!!!!!!!!!!!!!!!!!!!!!!!!!!!!!!!!!!!!!!!!!! 🙂 the pups are starting to very strongly kick, push, wriggle and flutter inside molly’s tummy. i was amazed to feel the puppies. Taking onboard a new training tip, here is a new video of me with my dogs! The dogs are being really good! Please click on the link below to view a small video clip of me training the dogs to go through the hoop, I have only done it a few times. How clever are they! When I saw the puppies in Molly’s tummy on the screen, I could see the heartbeat of one of the puppies, I started to get really excited. It was amazing. When I got home I jumped on my bed with excitement and phoned my friend (Mya) when I told her my news she got really excited and screamed right through the telephone into my ear (past my ear drum !!!). 28th January 2011 – Hello! Hi I am Katherine Gabrielle Page and I am 9yrs old. I help my mum feed the pups, also train and worm them. It is very hard to count the puppies when they are moving around. 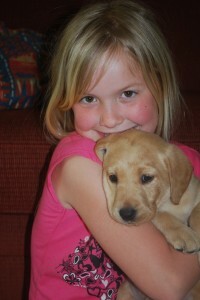 Once we thought we had lost one but luckily the puppy was found safely snuggled up in a cosy basket. The job I am very good at is cuddles and playtime. We all have lots of fun and no puppies are left out. 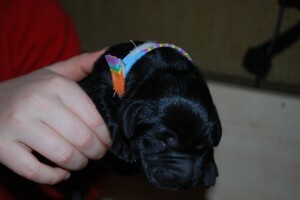 I cant wait for out next lot of puppies!!!! 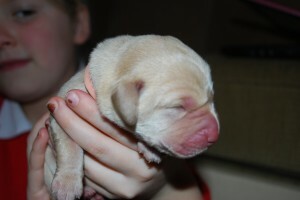 I have lots of hobbies and looking after puppies is one of them! I have a few friends that live close by and they come and see them all. I think Molly is a great Mum to the puppies. Pups are a part of my life and experiences. I will pop back and put on some more news soon! !